It’s Monday! What Are You Reading? is a community of bloggers who link up to share what they are reading. To find out what other bloggers are reading, check out the host blogs: Teach Mentor Texts and Unleashing Readers. You can also follow on Twitter at #imwayr. 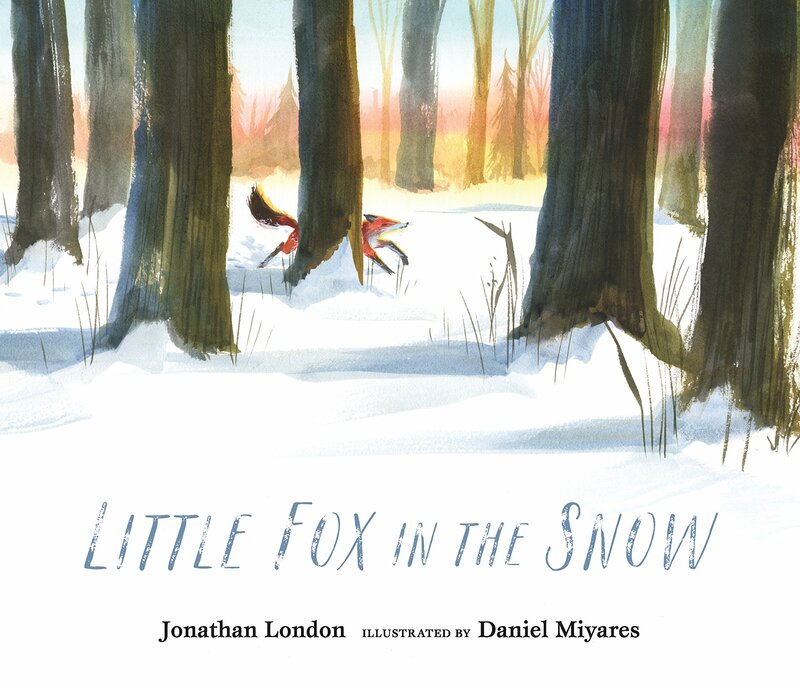 A little fox leaves his den on a snowy day in search of food. Through beautiful, poetic text, London shows what life is like in the forest for a woodland animal trying to survive. The book is written as a narrative, but it gives insight into the realities of our natural world. The illustrations are lovely. The first Horrible Harry book was published in 1988. After thirty years in second and third grade, Harry is moving on to fourth grade, but in another town. Doug can't imagine fourth grade without his friend and Harry avoids talking about it. But as horrible as it feels, Harry must say goodbye. This book is reminiscent of earlier stories as it makes reference to objects and events from previous books in the series. It's a sad farewell for Horrible Harry fans, but the book also ends on a hopeful note. Thanks to the publisher, Penguin Young Readers, for a review copy of the book. Isabella isn't sure where she belongs. Her parents are divorced so she spends one week at her mom's house and the other at her dad's house. Her parents don't get along very well, but both are very protective of her and their time with her. Her mother is white and her father is black which also causes Isabella to question her identity. Isabella is figuring out what it means to be part of a blended family, but she is also grappling with issues related to race after an incident at school. This book explores tough issues that are relevant to young readers' lives, through the eyes of an amazing, relatable character. Water Buffalo and Crane are having a hot, ho-hum kind of day until Goat comes along. Suddenly the day is a little brighter. The message of this book: friends can help us see the world in new ways and turn ordinary days into extraordinary ones. Gorgeous illustrations. Thanks to the publisher, Bloomsbury, for sending my book review group, #BookExcursion, a review copy. The book publishes in January. I enjoyed Blended, too. I thought it was a neat way of talking about being 'blended' in more than one way. And How Do You Do? sounds sooo cute, Lisa! Sounds like it might be a sweet gift for a special friend who has helped brighten your day. I imagine my kiddos will really love that message. Thanks for sharing! I'm looking forward a lot to Blended, know it will be good and now you enjoyed it, like Shaye! 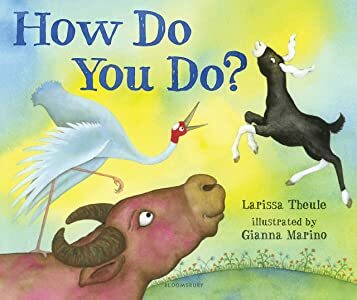 How Do You Do? also sounds great, Lisa & I'm waiting for Little Fox In The Snow. Thanks for every one and have a Happy Thanksgiving. We started Blended on the plane back from NCTE - only 4 chapters in and it is amazing. Can't wait to finish it over break Happy Thanksgiving! 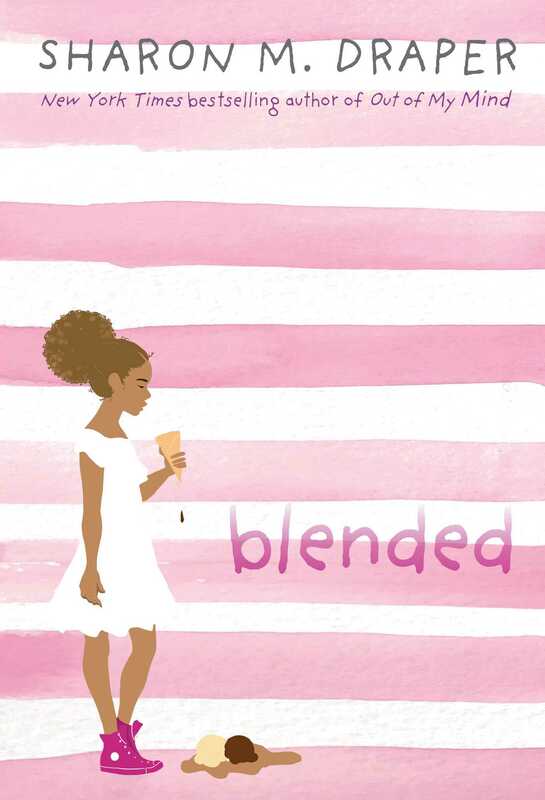 I must now add Blended to my ever growing TBR stack. I also need to sign up for my turn to read Horrible Harry. Bittersweet that the series is ending! Happy Thanksgiving Lisa! There are just so many books I want to read. Blended has just been added to the pile. Unfortunately, there is not enough time to read everything I really want to read! How do people prioritize?